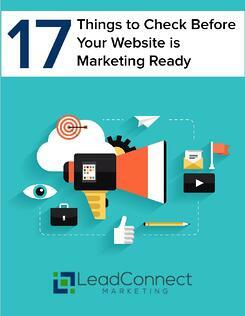 Is Your Website Ready for Marketing? Digital marketing allows every business to compete on a global scale, but it can also be costly and time consuming. That's why it's important to know exactly what is required of your website and your business before investing in an online marketing campaign. The three technical details that will allow you to track ROI easily. Why some sites fail, no matter how good they look. The two biggest mistakes people make that ruin their Google rankings, and how to avoid them. How to create a message that resonates throughout your site without having to rewrite everything.